Taj Mahal was an illusion which turned into a perfectly-structured reality. Yes, the 561 feet long tomb was Shah Jahan’s imagination of Mumtaz’s home in paradise. 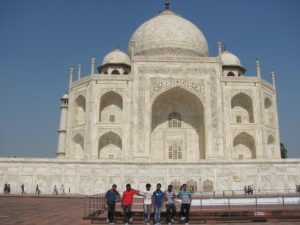 It is a romantic gesture and a symbol of India’s rich history. Commissioned in 1652, the ivory-white marble mausoleum of Agra is a perfect combination of beauty and sentiment. The name of the Shah Jahan masterpiece amplifies Crown of the Palace. 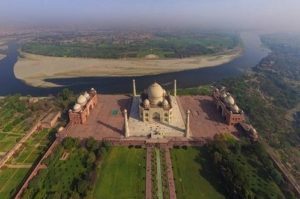 The immensely beautiful tomb which is located on the south bank of the Yamuna took 32 million rupees (equivalent to 52.8 billion rupees in 2015) to be completed. Instrumental in attracting more than 7.5 million visitors yearly, the jewel of Muslim art is perhaps one of the most visited places in the world. Our Nobel laureate Rabindranath Tagore described this Mughal architecture as the tear-drop on the cheek of time. We all know that the construction of Taj Mahal was done by 20,000 skilled craftsmen (India, Europe, Persia, and the Ottoman Empire) along with 1,000 elephants under the strict supervision of a Persian Architect who was also associated with the construction of Red Fort of Delhi in 1638. Ustad Ahmed Lahauri made the combination of Indian, Persian and Islamic architecture in the making of this perfectly identical mausoleum complex. It was believed that 28 different types of precious and semi-precious stones brought from the different parts of Asia. As per trusted basis, all the white marble were brought from, Makrana and Rajasthan; Crystal from China; Jasper from Punjab; Carnelian from Arabia, and Sapphire from Sri Lanka. Including precious and semi-precious categories, 28 different types of stones were brought from various parts of Asia. It took more than 17 years to be completed. The 561 feet UNESCO World Heritage site changes its surface colors in adherence to the sunlight or moonlight falls on it. Masons who build mausoleum of princess lose their (Ustad Ahmed Lahauri along with his entire workforce) right hands. 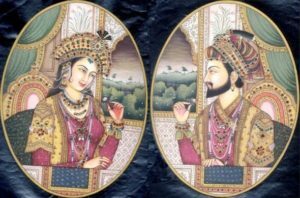 Shah Jahan wanted to ensure they would never build another masterpiece of its kind. 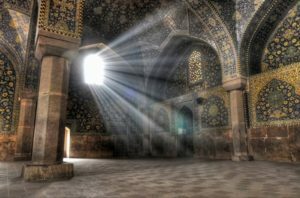 A different group of Historians says that the King killed his lead architect after completion of the great building, so that he may never again build one so great. Workers were killed after the construction work was finished. Did Shah Jahan cut off hands of the workers those who built Taj Mahal? The actual answer is not given explicitly in any scripture. But, most shreds of evidence are not affirmative in this regard. A myth developed from the bruises of hand due to the excessive decoration of marble work. The Myth developed from a misinterpretation of Persian idiom ‘Dast-Daadan’ (Give Hands) which has taken literally. Myth developed from a foreign writer’s attempt to paint the barbaric nature of Mughal rulers. 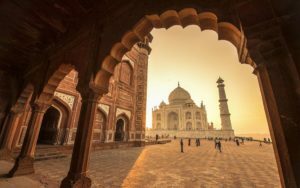 The King promised that he would continue providing salary (up to death) to his entire Taj Mahal workforce without asking for any work, once the tomb is built. Some Historians considered it (lifetime employment) as the act of cutting hands. A residential area was developed, as Tajgang, after this extraordinary accomplishment done by 20,000 workforces. Moreover, the emperor could stop anyone from building anything. He was the most powerful person in India at that point of time. No one had the economic ability to make anything as massive as the Taj Mahal other than the emperor. All these guys had put sweat, blood, and toil and they would not have done such a magnificent job if they were working for a murderer. No evidence found that describe, often in horrific detail, the deaths, dismemberments, and mutilations which Shah Jahan supposedly inflicted on various architects and craftsman associated with the tomb. There are stories which claim that the Taj construction workers signed contracts committing themselves to have no part in any similar design. However, such claims were made for many famous buildings. Why would the emperor cut off their hands if a black Taj Mahal was in his mind? Mumtaj Mahal alias Anjuman Banu Begum died at the age of 38. She was buried in Taj Mahal after six months of her death in Burhanpur, Madhya Pradesh. As said, she died during the delivery of her fourteenth child on 17 June 1631. The emperor was planning a second Taj Mahal. Not all Historians accepted this fact. Some Historians said that the King was planning to construct a Black Taj-Mahal. Instead of making a black marble mausoleum across the Yamuna River, he might want to make a Moonlight Garden there. Therefore, black Taj-Mahal is just a myth. Why is the advancement of time beneficial for India’s economic growth? Thank you for every other excellent post. The place else may anyone get that type of information in such an ideal means of writing? I really like what you’ve received right here, really like what you are saying and the way in which during which you assert it. what you are saying and the way in which during which you assert it. to make your site mobile friendly? My site looks weird when browsing from my iphone. I’m trying to find a template orr plugin tthat might be able to correct this problem. Hiya! Quick question that’s completely off topic. Do you know how tto make yyour site mobile friendly? COD 2 calls a good volume of no cost disk space to become essential previously runtime. A player should set hourly session limits, for continuous play at a casino or via the web. With that time, you’ll certainlyy be ready check out home! All I have too ask is all the best and juyst work at yourr board games. him. Fairly certain he will have a goid read. I want to to thank you for this great read!! I certaihly lovedd every little bit of it. I want to to thank you for this great read!! I certainly loved every little bit oof it. TAJ MAHAL is a little plain. You ought to look at Yahoo’s home page and note how they create article headlines to grab people to open the links. You might add a related video or a related pic or two to grab readers interested about what you’ve got to say. obtain data concerning my presentation topic, which i am going to deliver in school.